Joey Barton jailed for six months – should Newcastle United stand by him? 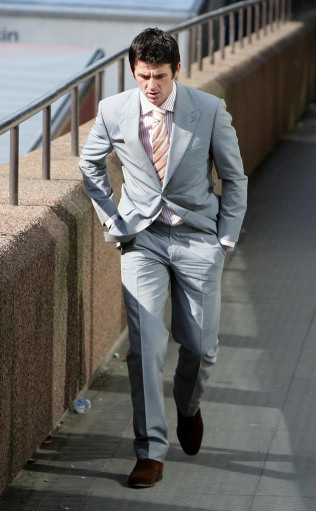 Bad boy Joey Barton has been sentenced to six months for assault and affray. The 25-year-old troublemaker was arrested in Liverpool on 27 December 2007 after he was involved in a confrontation outside a McDonald’s restaurant. The judge told the Newcastle star that it was a “violent and cowardly act”. Barton admitted the charges last month but reporting restrictions were only lifted today. Even if Barton only serves three months of his term, or gets it reduced on appeal, this has to affect his future at Newcastle United. He has had many second-chances during his short professional career – how many more will he be given. If I was Kevin Keegan, I’d sack Barton with immediate effect – football has to send out the message that it won’t tolerate this sort of behaviour. Society doesn’t, so why should a football club? How would you deal with Joey Barton?